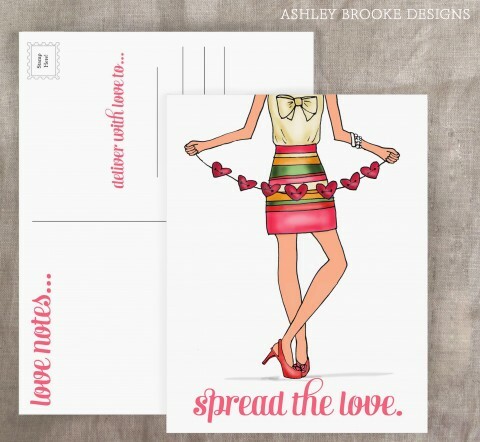 One of my favorite stationary designers, Ashely Brooke Designs is doing it again this year??? Spreading the love!!! When you purchase these sweet Valentine postcards! A portion of the proceeds of these cards will be donated to the American Heart Association's Go Red for Women campaign!